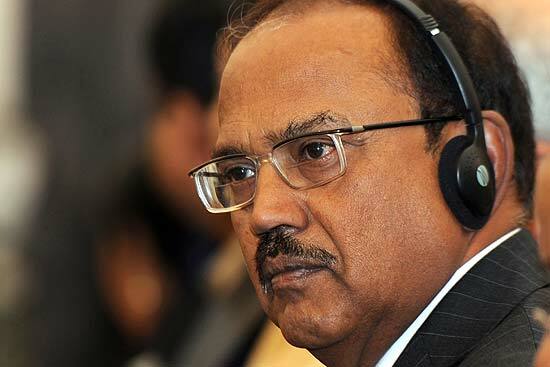 KATHMANDU, March 10: Indian Prime Minister Narendra Modi's Security Advisor Ajit Doval made a telephone call to Prime Minister Pushpa Kamal Dahal and expressed grief over the death of a Nepali citizen in the Kanchanpur incident. Advisor Doval called PM Dahal at 2pm today and expressed condolences to the family of Gautam. According to PM's secretariat, Doval informed Dahal that the Indian side has started investigation on the incident and termed the incident as a sad one. Likewise, Doval asked PM for diplomatic coordination and support in the investigation process and request to provide the postmortem report of the deceased. During the telephone conversation, PM Dahal informed about the sensitivity of the Kanchanpur incident and informed that Nepal will support in the investigation process. Meanwhile, Charge-de-affairs at Indian Embassy in Kathmandu Vinay Kumar met Foreign Secretary Shankar Das Bairagi this morning and conveyed condolences on the loss of life of a Nepali citizen. He also informed that the decision to initiate an enquiry on the incident at the border.